We feel strongly about giving back to the organizations and people who give us the ability to have beautiful trails to use. All trail systems are comprised of federal, local and private landowners who selflessly allow us to venture off into beautiful places. Over the years Ryan and Kristina have seen many parcels of land and trails disappear to development or private landowners who are tired of their land being ruined with littering and disrespectful behavior on their property. Our goal is to educate trail users on how important it is to respect land owners, nature and other trail users in order to protect the beautiful resources we have. We strongly believe that the wilderness heals broken souls and brings the young and old back to where the human race all began. We were explorers, hunters, gatherers. We need to be able to visit our past and by preserving land we can keep the wilderness “timeless” so that in 100 years our future generations will be able to enjoy the land in the same way we do now. Children and adults need to unplug and learn from nature. We want to help others have the opportunity to find themselves through exploring the wilderness. Every race we host has a beneficiary who receives a portion of the proceeds of the race. 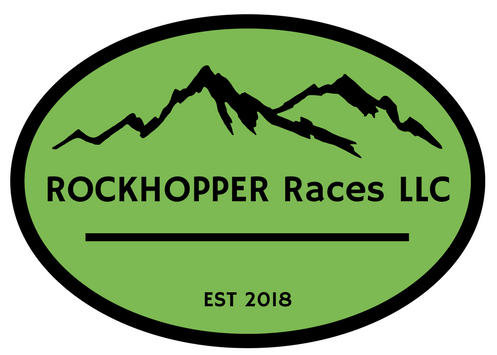 Rockhopper Races wants to build a community of trail runners who respect the White Mountains and accepts all trail users. We hope to help create friendships and give people an experience unlike any other! We hope to host group runs and community events to encourage more people to find joy and friendships through the outdoors. Having backgrounds in hiking, Ryan and Kristina both understand the joys of moving slowly and quickly through the mountains! Rockhopper races tries to give the runners more than just a race. We strive to create challenging courses that showcase some of the most stunning trails in the White Mountains! We work closely with the USFS, Conservation organizations and private landowners to host very unique events! We try to give the runners an experience that they won’t soon forget! By offering a fun post race atmosphere and making sure the volunteers feel appreciated we hope to help forge friendships that will last a lifetime! There is nothing more fun than sharing stories and food around a keg, bonfire, food truck, grill or lake with new and old friends!